Borderlands 2 VR, that will bring the critically-acclaimed and genre-defining shooter-looter franchise to VR for the first time on December 14, 2018 on PlayStation VR. Fans who pre-order Borderlands 2 VR will also be rewarded with instant access to a dynamic PlayStation Theme featuring the game’s four iconic Vault Hunters – Salvador, Maya, Axton and Zer0. Borderlands 2 VR brings the iconic world of Pandora to life like never before. Fans will virtually become a treasure-seeking Vault Hunter, grab 87 bazillion guns, and face off against the galaxy’s most charming psychopathic dictator, Handsome Jack, to free Pandora from the corrupt Hyperion Corporation. 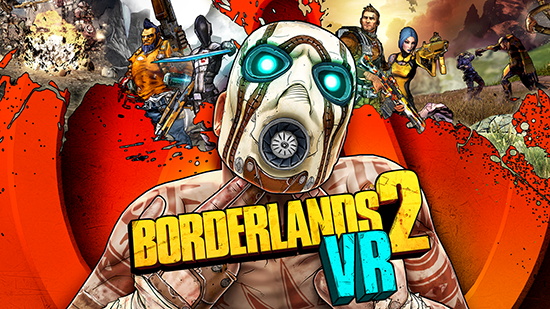 Borderlands 2 VR will be available on December 14, 2018 for the PlayStation VR single player only.